Meet Rob our Store Manager at East Cobb! Fitness/ Weight Lifting. I train with a group and on my own 6 days per week. The gym is my happy place. I also have a passion for biking, both mountain and street. A close third would be camping and kayaking! I have an A frame camper and take it on the road with my kayaks whenever I get the chance! I have lots of passions! Basically anything outside! The Crown and Grace and Frankie. My cat Franklin. He has the perfect balance between play and sleep. ​ Ireland. I am 99% Irish and would love to experience my origin. 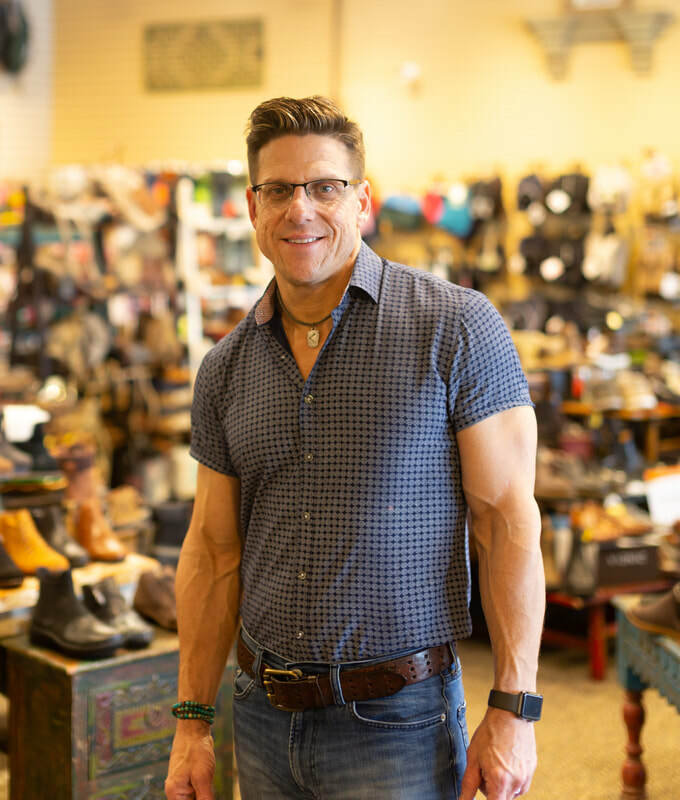 Finding the perfect shoe for a customer. We have some customers that can barely walk and finding them the right shoe to alleviate their pain is priceless. Second is my coworkers -- they have become like a family to me. What is your favorite shoe brand and why? No surprise to anyone at Abbadabba's but my favorite is Keen. The Keen shoe fits my wide feet well. It has both a wide and tall toe box. A close second would be Brooks. The cushion and support are fantastic for a day at work or for the gym. ​Why do you love Atlanta? ​Even though Atlanta is a larger city, each area of town feels like a small community. Where in Atlanta do you wear your shoes? Biking around Chastain Park, Blankets Creek and Raccoon Mountain, gym training and playing in Midtown. Six Feet Under. I am from South Louisiana-Cajun country and love spicy seafood--they get it pretty close to the food I grew up on. What is your favorite part of town? Buckhead has been my home for many years but my playground is Midtown.